Share Facebook posts to WhatsApp - Know How it works! 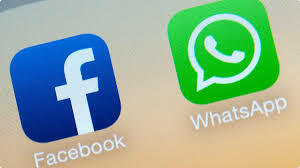 Facebook is on launching new more features soon and it is now said to be testing an unique feature where users can share Facebook’s content on Whatsapp. no official confirmation regarding this news but close sources hints that beta users claimed to have received this feature on their Facebook app. Tap on the ‘Share’ button on the Facebook app, you will be given three options- ‘Share Now’, ‘Write Post’ and ‘Send in WhatsApp’. If you opt for a particular content on Facebook like an image or video to be ‘Send in WhatsApp’, you just need to select this option from the ‘Share’ menu and a link will be generated. This link can be shared to any WhatsApp contact.